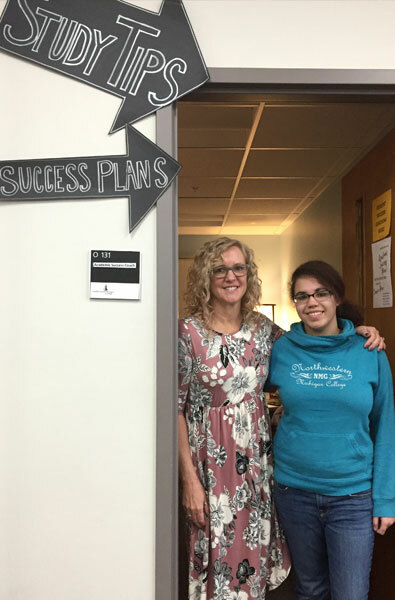 NMC success coach Leeann Fountain and student Taylor ByersWhen Taylor Byers returned to NMC last fall, four years after she last attended, she knew she had to be a different kind of student. But she didn’t seek help from an academic adviser, or a tutor, or even an instructor. Instead, Byers beelined for a student success coach. Success coaching is booming at NMC. Already this year, coaching visits to the Student Success Center are double the 2016-17 total. Rather than being subject matter experts in math or English or science, like instructors or tutors, coaches guide students to academic success by providing tools to improve study habits, time management and task prioritization. Not just on campus, either. Byers’ coach, Leeann Fountain, had her fill in a 24-hour time chart, breaking the entire day into half-hour increments. Something stood out right away. “Taylor wasn’t going to bed,” Fountain recalls. Without a standing bedtime, she was tired and couldn’t focus on studying. She napped erratically, which threw her time management off further. It was Byers who decided that first thing was to establish a bedtime, picked 10 p.m., and now sticks to it. Between her four days of classes, her job as a manager at the Arby’s in Kalkaska, where she also lives, and her commute time, that now leaves her evenings to study, alert and focused. Posing the question for Byers to answer herself is a fundamental concept of the empowerment coaching style that NMC employs. 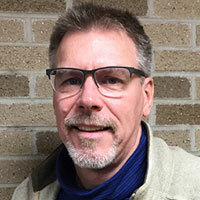 “So many of us have experienced education as something that’s being shoved into us,” said Steve Rice, an accounting instructor at NMC and the author of an innovation grant that allowed a seven-member team to be trained in the style in 2015. The goal is to empower students to solve their own problems, as Byers did. Even with this year’s jump, only a small fraction of students receive coaching — 280 so far this year. “It’s very much in the germinal stage,” Rice said. Ashley Darga, NMC’s coordinator for Student Success and one of the team trained back in 2015, wants to accelerate it. In addition to the face-to-face coaching that Byers received, her office is piloting required phone coaching in three online classes: Rice’s accounting, a math class, and a history class. While there are variables in the data, results so far are encouraging: Across all three classes, students who got coaching received failing grades 8 percent less often and passing grades (defined as a 2.0 or higher) almost 11 percent more. Withdrawal rates for coached students were 5 percent lower as well. Coaching also establishes the kind of personal relationship that research has found is critical for students to complete their degree. “This is designed in that spirit, hooking a student up with a person so they are engaged on campus and feel committed to NMC,” Darga said. “Without persistence we’re not using our time wisely,” Rice said.